The average person reads at a speed of between 150 - 350 words per minute, with graduates usually in the upper half of this range. This speed simply isn't enough to meet the demands of the vast amount of written information that confronts us. A one-day workshop to increase productivity, enhance personal potential and improve memory and concentration. It is estimated that managers are expected to process as many as a million words each week, often resulting in overload. However, by applying a unique combination of deep relaxation and hypnosis with advanced techniques of accelerated learning, you can quickly and easily increase your reading speed up to 300%. Like any skill, regular practice will achieve the best results but with this technique most people will increase their reading speed by 20 - 100% immediately with better concentration and improved retention and recall. Educational research shows that people's learning style varies. Understanding how your memory works and what methods of learning suit you will enable you to utilise your mind and apply your creativity much more effectively and with better focus. Identify and apply your personal style of learning and recall Develop your capacity for creative problem-solving. 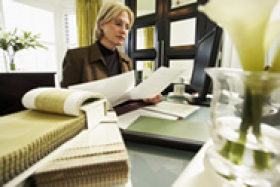 Improve your ability to absorb and retain information in the work environment. Increase your confidence and overcome exam and test anxiety Enhance your productivity and efficiency. You will leave this workshop fully prepared to apply the powerful skills of Speed Reading and Accelerated Learning in your professional and personal life. This workshop is suitable for staff at all levels and is especially useful for those whose roles involve processing large quantities of information and text. It is preferable for groups to be composed of individuals with broadly similar functions within the organisation, with a maximum group size 30-35. Each participant will receive a course manual with a summary of workshop content, and information on further resources for revision and follow-up. Austin Corporate can also arrange for follow up assessment, screening and remediation where appropriate for those individuals in whom a specific block or learning difficulty is identified in the course of the workshop e.g. dyslexia, visual stress, trauma, etc.